Each year, more and more students are attending schools that are getting older and older, and using them differently than previous generations - creating demand for new facilities that support student performance and new learning technologies. 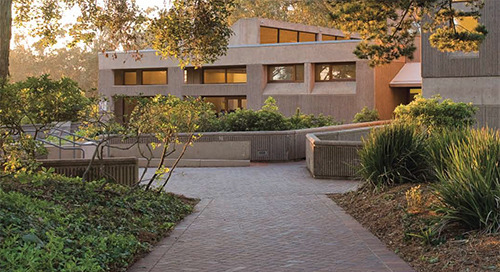 As a result, America finds itself in an unprecedented school building boom, with architects reaching out to best practices such as CHPS and LEED to design flexible learning environments that are both effective and green. 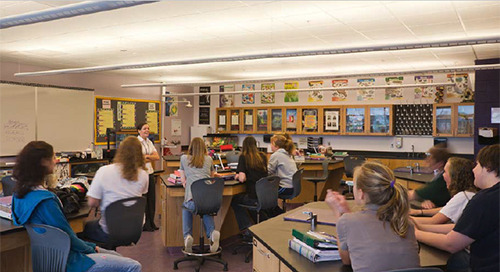 Waldorf High School is a national model not only for learning, but also energy efficiency and green design practices. 450 Architects chose the Peerless Cerra 10 I/D to help them achieve this. Using Peerless Enzo® and IceTray fixtures - Massillon, Ohio's Jackson School District wants to enhance learning environments for students so they can achieve their potential and realize their dreams. 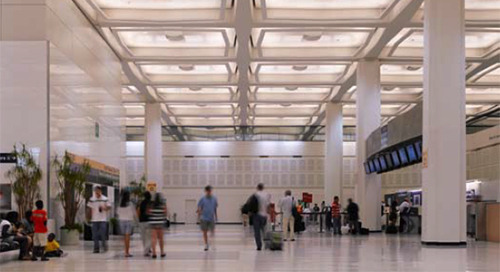 The George Bush Intercontinental Airport - Houston's largest airport, Terminal C underwent expansion to revitalize what is for many the city's front door and satisfy projected aviation demands. 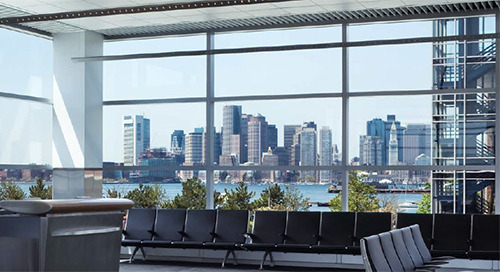 Utilizing Peerless Lightedge fixtures, Boston Logan International Airport launched a modernization project that included rebuilding Terminal A, home to Delta Air Lines.